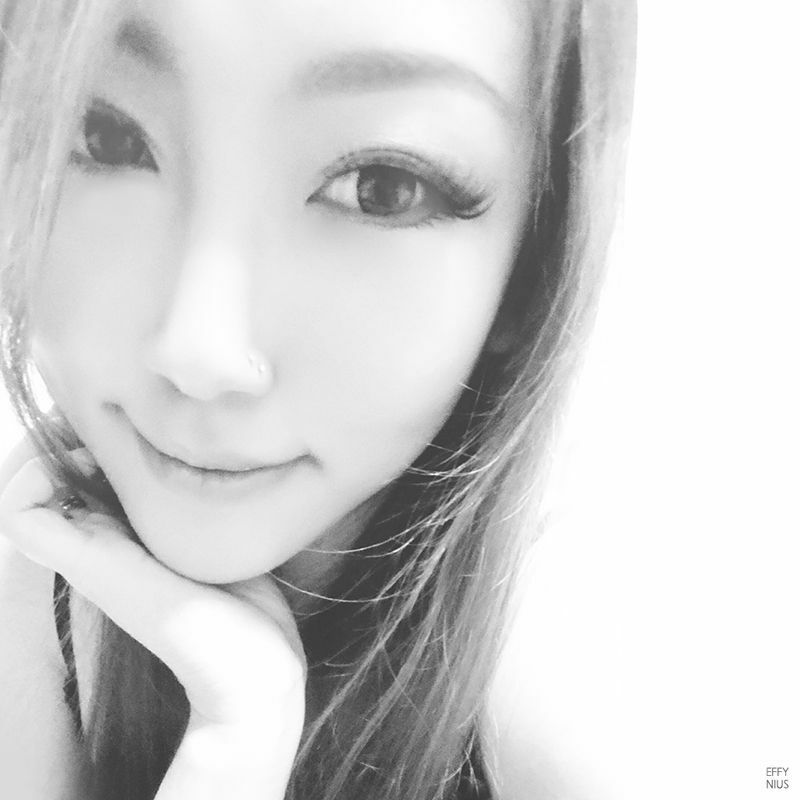 Aesthetics physician of TYAS, Dr. Tiffiny Yang. I have officially fallen into vanity trap. Against everyone’s disapproval, I went for my nose filler treatment. The man had been very supportive and I really appreciate it. I am putting myself at risk of harsh criticism but I am guiltily happy, for having a long yearned nose bridge now. All women loves to look good, no? 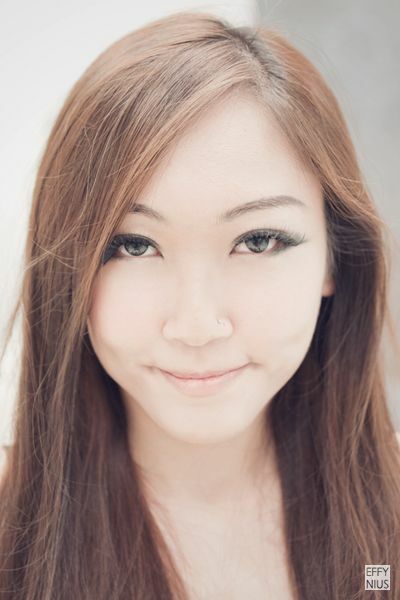 Read on for the full documentation of consultation and procedure of my nose filler. TYAS pride themselves with providing you top quality treatments, served with a lot of care and friendliness. 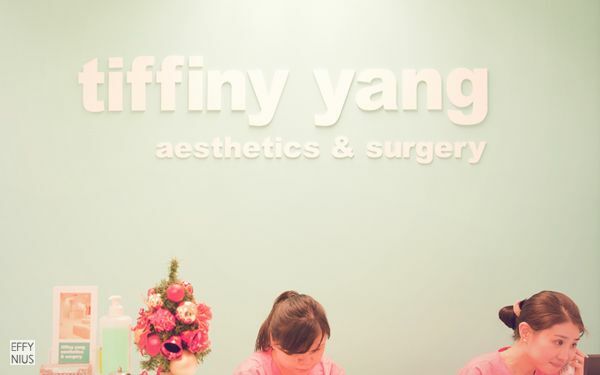 Their very own aesthetics physician, Dr. Tiffiny Yang, is passionate about beauty. She renders her expertise and her gentle touch to every treatment she provides and had seen hundreds of satisfied patients. Their products are of medical grade and the LASER and IPL systems are assuredly FDA (USA), HSA (Singapore), and CE (EU) approved. TYAS has also been awarded the Singapore Excellence Award 2013/2014. Dr. Tiffiny Yang is very serious in her work, but at the same time treating her patients with tender care. She had been very patient in listening to my woes of having an almost non-existing nasal bridge. On top of that, she brought up the issue of the dent on my nasal tip – thankfully for that because I’ve completely forgotten about it – and said she will fix it during the nose filler treatment as well, if I like. and she spotted it within 5 minutes of consultation. No one, not even myself, has noticed that in my entire life thus far. Professionalism and observance at its best. I have decided to proceed with the nose filler treatment. Yes, let’s go for it! Revanesse® is similar to Juvederm® and Restylane®. It is a colorless, odorless, transparent and aqueous gel of synthetic origin. It is made up of cross linked hyaluronic acid gel that is indicated for the treatment of superficial and medium sized wrinkles, by injecting into the middle part of the dermis layer. Implantation life is dependent on depth and location of injection, and averages 6 months. Dr. Tiffiny Yang prescribed 1cc of Revanesse® to be injected into my nasal for filler treatment. 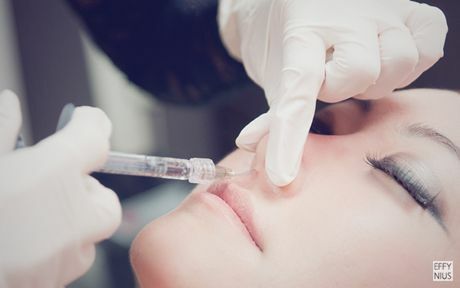 The reason for choosing this is because of the natural look it will provide for my nose – as compared to other fillers – even if they may last longer but they can also look too harsh and hard for your liking. receiving treatment is required to be removed. Numbing cream is then applied and to be left on for 15 minutes. Dr. Tiffiny Yang actually went through the terms and agreement paper with me during the consultation, but I think it was a really nice gesture to let me go through it myself thoroughly again. And so, I took my time to read as I wait. During the wait, the nurses constantly check to see if I needed water. I would say, excellent patient care. After 15 minutes – I felt the numbing cream taking effect – I proceeded into the procedure room. At this point of time, I was practically having mini heart attacks. But with the pleasant hospitality and attentive care from Dr. Tiffiny Yang and her nurses, I was gradually put at ease. Clearing any doubts before the proceeding of treatment. Cushion was provided for comfort and to ease the patient’s anxiety. indication for injection of anesthetic and filler. Flat nose bridge is flat. 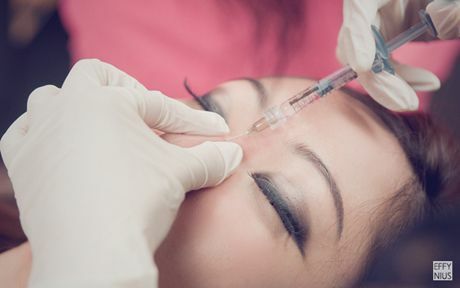 This is to further lessen any possible pain during filler injection – an extra precaution from Dr. Tiffiny Yang – as numbing cream can still cause pain, even if minimal. Cleansing of the area to be treated, before the anesthetic injection. I can feel the needle poking in but no, there was no pain at all during the anesthetic injection. I thank the numbing cream and her professionally steady hands. 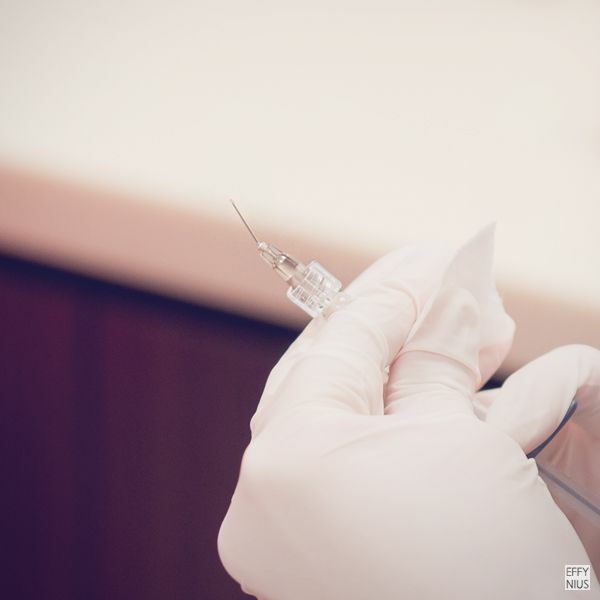 Start of Revanesse® Filler Injection. Notice the difference of filler injection from the usual needle head? I figured it is probably designed for easier positioning. Molding and shaping of my nose as she injects the filler. 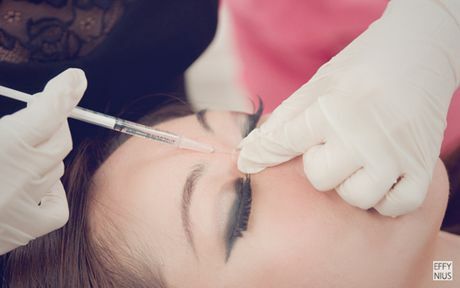 Was There Any Pain For Filler Injection? I had numbing cream and anesthetic injection, of course not! I can feel something – can’t quite put into words – but definitely not pain. I have to admit, the filler injection at the nasal tip is painful – which I was prewarned – but this is much more than what I expected, especially after the painless filler injection on my nasal bridge. It was all worth it when I sat up in bed to see the results. As you can obviously tell, I have a distinctively higher nose bridge now! It may look a little odd at first, but no worries with that because the nose will settle in naturally after a few days. And apart from the slight bruise and injection holes, you can’t really tell that I have done anything to my nose. Filler treatment indeed looks natural. 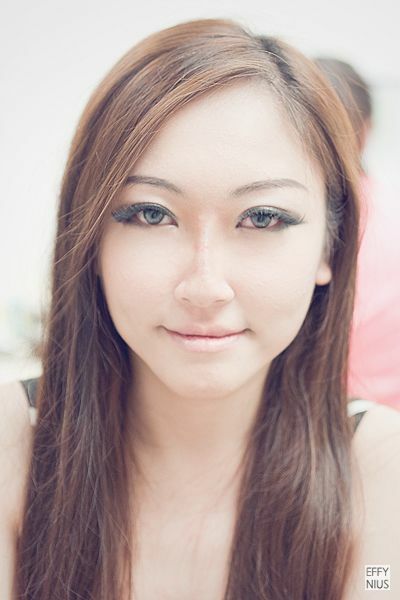 Please do take note that the nose bridge will be much higher and sharper than desired right after filler injection. 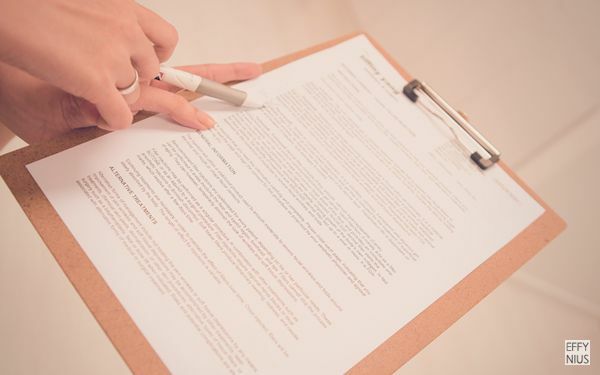 If you are just about satisfied with the result, you should request for more as the swell and anesthetic will ease after some time and the final result can be less than expected. I am perfectly happy with mine! 4 Days After Filler Treatment. Thank you Dr. Tiffiny Yang for my beautiful nose! Two weeks later, I went for 1-Point V Face treatment. Hi, how much did u spend on the nose filler? Hie, just wanna ask, how much did you pay for your nose filler and including consultation fee? HI. can the consultation and nose fillers be done on the same day or we have to book another appointment for filler procedure again? And can I know the payment mode? Any interest free credit card instalment? 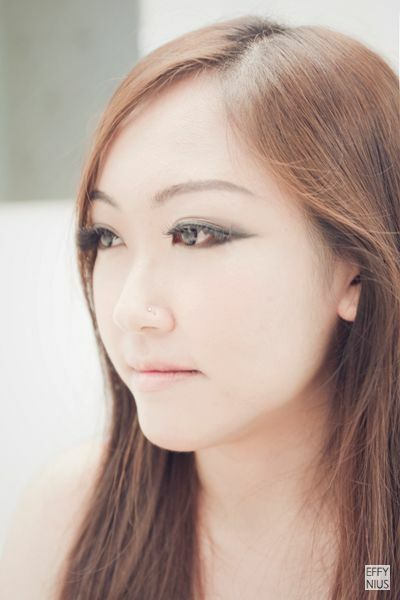 The consultation and nose filler can be done on the same day – I did mine too! Let me check if there is interest-free credit card instalment with her before getting back to you. How long your procedure last? You look great after your nose filler procedure. I hope you are satisfied with the result. There are a lot of people who are looking for a review on this treatment. Hi, my procedure lasts about 10 mins not including numbing cream. Thank you for the compliment! Hi, can I check how much is your V shape package and how Long can it last? I realise that the srea between my eyes were protruding out (kinda like that of a parrot) the day 1 and 2 of my nose filler treatment(did somewhere else). Will that ‘bridge’ go down to make it look natural? If so, typically how many days?